The end of summer has been all over blogland lately, and to be honest, I’ve been a bit in denial; I’m definitely a summer gal, I love the sunlight filtering through the curtains at 5am so I get to wake up slowly, and watering the garden in the balmy evening breezes. I love days at the beach, racing through the dunes and finding sand in your bag for weeks afterwards, I love the smell of suncream and sweetpeas, homegrown strawberries and the heady scent of lavender. In short, I am not winter’s biggest fan. But on the plus side, the colder weather does mean I can unpack all my chunky knits and coloured tights again, light my favourite scented candles and start making things ready for (dare I mention it….) Christmas. There is something pretty nice about settling down on the sofa with a big blanket and a good craft project (with, erm, the New Girl box set playing on TV), and there’s always the possibility of trying a few new things style-wise as well. This week’s Sunday Style is all about the things I’m going to be wrapping up in once the weather gets colder; my beloved midi skirts paired with tights rather than bare legs, brightly coloured coats and chunky boots that keep toes warm. I’m looking forward to getting all my shirts out again, and teaming them up with some cool collar clips (I’ve got about six pairs from Ladybird Likes on my Christmas wish list! ), and I’m actually really loving sweaters and t-shirts with slogans on them (I got this one on eBay for 99p last week!). 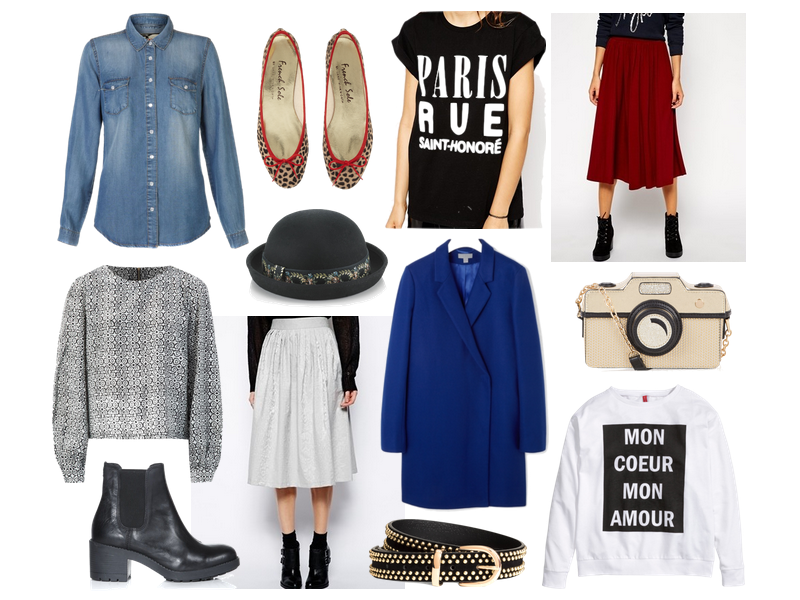 What are you going to be wearing this winter? Any top tips for keeping warm and staying stylish? I can't do tights so I'm either a baggy jumper jeans & converse or dresses leggings & boots! Oh so original of me, lol!